This article was written for our Personal Finance 101 library by guest writer Brian Thomas. Cryptocurrencies operate as decentralized digital assets exchanged over the internet in the form of highly divisible coins. Many cryptocurrencies are backed up by blockchain technology which records their transactions into distributed ledgers. Starting with Bitcoin in 2009 and growing into the 1600 plus cryptocurrencies currently in existence, these coins have opened up a new avenue for currency investing and have generated plenty of news along of the way. 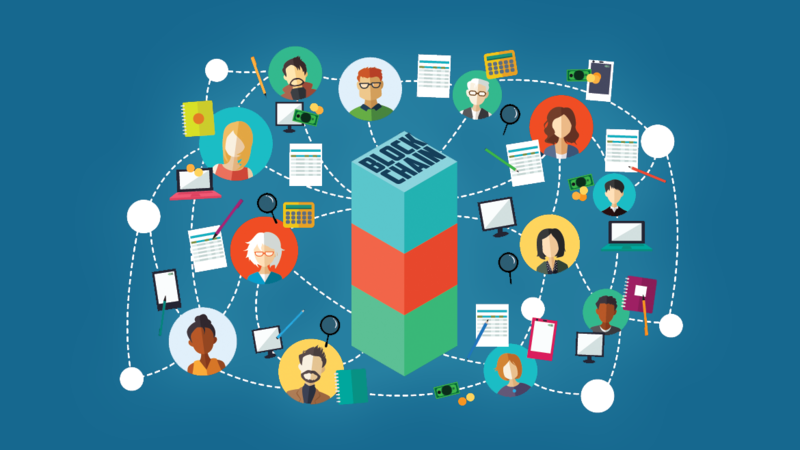 The distributed ledgers afforded by blockchain support cryptocurrencies by confirming a given transaction against several other transactions in that specific cryptocurrency’s market. This differs from most transactions with traditional currencies that record on an individual basis in a central database like a bank. Instead of a buyer’s and seller’s bank record or personal record serving as the only proof of the transaction, blockchain enables currencies like Bitcoin to embed evidence of a transaction in 500 other transactions, on average. The 500 interlaced transactions confirming each other constitute a “block” in the chain. Each block of 500 transactions distributes its shared information in the structure of a merkle tree. Each block is then fed a unique code, a hash, corresponding to all the information of the last block’s tree. The blockchain technology underlying cryptocurrencies might prop up their value as people may see them as electronic forms of money supported by more complex security than seen in traditional electronic counterparts. By way of mining, blockchain also serves as the mechanism of coin creation for many cryptocurrencies, meaning it can impact their supply, and potentially, price, as a result. Individuals with powerful computers (and enough electricity) seek to solve complex mathematical equations, that once solved, confirm a block and its underlying transactions. Those who solve the block may receive a “block reward” in the form of newly created coins of the given cryptocurrency for which they just solved a block. For Bitcoin right now, the block reward is 12.5 Bitcoin. Those who receive the reward may choose to hold onto it as an investment or sell it for more immediate gain. Although the specific impacts of mining incentives on coin supply and the effect of coin supply on coin price may be debated, it is still useful to know the specifics of a given coin’s mining structure before investing in it. Taking a step back, it is also useful to know whether or not your potential coin of choice is mineable. After all, not all cryptocurrencies are. Coinmarketcap.com labels 269 of the 863 coins they list as non-mineable. Why might this matter? Whether or not a cryptocurrency can be mined might affect its future supply, as well as its demand. Certain coins confirm their blocks of transactions when miners solve the complex equations with their powerful computers. This is known as the proof-of-work method. Other cryptocurrencies confirm blocks with proof-of-stake, whereby a “transaction confirmer” is picked from all coin owners based on their degree and length of ownership in the cryptocurrency. Think of it as a raffle where more coin ownership corresponds to having more raffle tickets, and length of ownership serves as a tie breaker for those with the same amount of tickets. More ownership increases one’s chances of becoming the “transaction confirmer” for a given block. If chosen, instead of receiving coins as a reward like with PoW, PoS pays out the aggregate transaction fees for the block. Whether the value of the coin payout with PoW beats out that of transactional payouts in PoS depends on the prices of the given coin, its mining structure, and its location in its mining timeline, among many other variables. Though, PoS rewards generally register lower than those of PoS. With this said, proof-of-stake may incentivize additional coin ownership to a wider group of people, since a chance at the reward does not require overcoming the computing and electrical cost barriers associated with mining. Though, depending on the dispersion of ownership in PoS coins, one may have a better chance of solving a block with PoW, if they so choose to invest in the necessary equipment and energy. There are many variables to consider when comparing incentives of the two versions of transaction validation across cryptocurrencies. For the overall market, the cost of non-mined (PoS) transactions are generally lower than those of mined (PoW). This is because mined cryptocurrencies require actors to rely on powerful computers that use massive amounts of electricity to compete in solving equations to confirm blocks (and the underlying transactions), while the unmined ones simply rely on ownership-based probabilities and randomization. The differences between mined and unmined cryptocurrencies also create different forms of risk with majority ownership attacks, known as “51% attacks.” Mined coins are susceptible to attacks from actors who acquire 51% of the computational power used in mining, while unmined coins are susceptible to attacks from those who own 51% of the coin itself. If one actor gains a majority of the computing power or ownership, depending on coin, they increase their chances of successfully attaining the power to falsify transactions in their favor, which severely hurts the validity of the cryptocurrency, causes distrust, and eventually results in price drops or even total collapse. Younger cryptocurrencies with low capitalization are more susceptible to attacks by criminals, since takeovers of these types require less resources to reach majority share or majority mining input. Successful attacks on established cryptocurrencies that have many owners or miners are less likely. Just something to keep in mind when deciding on cryptocurrencies for investment. One might go about finding a cryptocurrency for investment by assessing the features specific to that coin and then checking which exchanges list it. Another way would involve finding a desired exchange and then prospecting coins found on said exchange. Either way, it is important to dive into the identity of the cryptocurrency before investing. As mentioned above, it’s useful to learn how the cryptocurrency creates coins as well as if its underlying blockchain product supports any other cause, such as digitizing traditional assets or creating fractional shares of artwork, for example. Looking into these variables could help with trying to predict the coin’s future supply and demand, which can be data points to use in estimating its future value. Check the level of legitimacy and security of the exchanges you are considering. Although the underlying technology supporting many cryptographic transactions presents complex security that is difficult to hack, the same might not be true of the exchanges hosting the transactions. In order to buy a cryptocurrency, one must connect a method of payment to the exchange of choice, so that traditional money can be traded for the coins. This opens up the potential for fraud in the virtual wallet holding traditional currency in the account as well as within the site’s wallet holding your crypto-assets. Even though you can never be too safe, there are some established exchanges deserving of more trust. Yet, security should remain in the forefront, especially when venturing on the fringes when looking for a coin not listed on major exchanges, for example. Although they cannot provide definite answers on whether an exchange will witness hacks or not, online communities and reviews may help shed light on the potential for theft. When deciding on an exchange, it is also important to dive into the specifics of fees. Percentage points can be “won” or lost on their behalf. Deposit, transaction, and withdrawal fees may differ by exchange. Check online resources when comparing fees in addition to an exchange’s own site, in case third parties have not yet reflected more recent updates on numbers. It is also important to monitor the regulatory environment in certain countries. If a coin’s creation significantly resides in a country indicating a strengthening regulatory environment toward cryptocurrencies, its supply may be affected by the government’s decisions, which may then affect its value. The same goes for the demand of the currency. If many owners reside in one particular country and that country shows signs of regulatory shift against cryptocurrencies, demand may also shift, and the currency’s value would see an impact. As for whether such potential shifts in supply and demand move in the same direction, and if not, whether one outweighs the other, depends on the specifics of the situation and is up to the individual investor to try to predict. Thus, there is much speculation as to whether increased regulation would augment or curb the growth of cryptocurrencies. Many believe continued state intervention would impose unnecessary red tape to otherwise well functioning markets, while others see regulation as a chance to increase the security of exchanges or strategically stabilize major price swings. In the U.S., there has been ongoing debate as to whether cryptocurrencies are securities, commodities, utility tokens, or a new asset class yet to be defined by law. Though, as of now, the SEC deems Bitcoin a commodity but views any initial coin offering or cryptocurrency used in the capital raising process as a security. In light of all this, everyday investors should stay up to date on developments in the area of regulation, among the other features mentioned herein, as they look for potential factors to impact future prices of cryptocurrencies. Disclaimer: None of the aforementioned assertions or thoughts should be considered or taken as investment advice. All information in this article is provided solely for learning purposes. The writing in this article could provide information to those who may eventually want to better understand future investment advice from other parties, or simply for those who want to learn about events in the areas mentioned in this article.